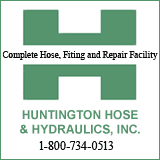 HUNTINGTON, W.Va. – Junior Johnny Thomas led the Marshall men’s basketball team with 13 points as it took down Rice y a final of 72-61 Wednesday evening in Conference USA action at the Cam Henderson Center. 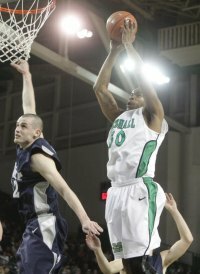 Thomas led a group of four double-digit scorers for Marshall (17-9, 5-6 C-USA). Damier Pitts, Dago Pena and DeAndre Kane each finished with 11 points. Nigel Spikes also put up a solid effort, scoring eight points while grabbing a game-high 11 rebounds. Rice (11-14, 3-8 C-USA) was led by Tamir Jackson, who registered 21 points while Arsalan Kazemi scored 16. In an ultra-competitive first half, the lead changed hands four times with the score also being tied on four occasions. After a Nigel Spikes bucket gave the Herd an early 2-0 lead, Bryan Beasley hucked a shot from downtown that gave the Owls their first lead of the contest, 3-2. Marshall fought back to open up a 12-7 lead less than four minutes into the game as five players would make their way onto the scoresheet for the Herd. The Owls made their way back into the fray, thanks in part to Kazemi, who tallied six points and eight boards in the opening period, but after the lead swapped three times, Marshall would finish the half on an 8-2 spurt to take a 30-24 lead at the break. Johnny Thomas knocked down a trey to begin the second half, helping MU establish its largest lead of the game to that point, 33-24, before Rice countered with an 8-0 run to get within a point. The Owls kept the pressure on, retaking the lead, 43-41, on a three-pointer by Tamir Jackson with 11:53 left in the game. The turning point of the game came with the game knotted at 45. Kazemi missed a dunk for Rice and the Herd corralled the rebound at the other end and Dago Pena converted a dunk to put the Herd on top, 47-45. The Herd outscored Rice by a 27-16 margin the rest of the way to take home its 17th win of the season. Free throw shooting was at its best for the Herd, who hit 23-of-24. It marked the third best outing in school history (minimum of 10 made) with a 95.8%. The best effort came against Davidson in 1979 when the Herd hit a perfect 31-31 shots. Second best was a 24-of-25 outing in 2008 against Tennessee State. Marshall finished with a slight 44.9%-43.4% shooting edge while dominating the glass, 36-24. Most of that dominance came in the second half as MU outrebounded Rice 20-6 to finish the game. On Saturday, Marshall will be on the road once again, traveling to New Orleans, La. to face Tulane at 8 p.m. before coming back home for a pair of tilts next week.